Brianna and babes were let out of the birthing pen today to enjoy the beautiful sunny day! Thanks to all who contributed name suggestions. We sort of chose a smattering from them. The babies are Gilligan, Gallagher and Golly….. so that would be Gilly, Gally and Golly. Gilligan has an unusual bend to his ears so he will always stand out. The only difference I see in the other two is size. Gally is the biggest on the left, then Gilly and Golly up by mom’s head. I have finally achieved a picture where they were all looking at me! Talk about a lazy day in the spring sunshine! 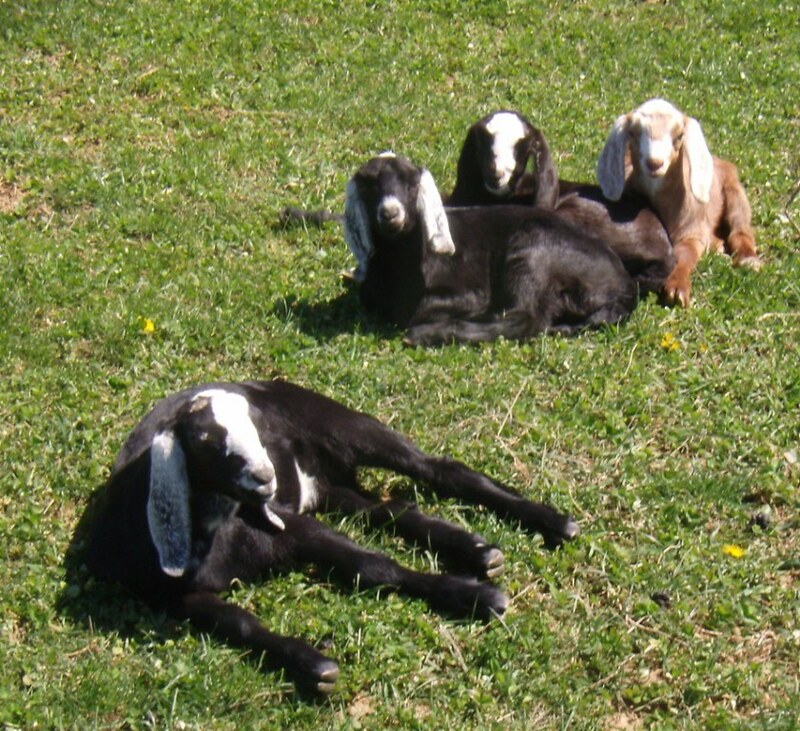 This entry was posted in goat, lamb and tagged Boer, Brianna, Corridale, Nubian, triplets. Bookmark the permalink. Your babies are really good looking! Excellent, Julie! Happy Easter! Thanks Ray, Happy Easter to you too! Aww, double triplets! Thank you for posting the pics. Can’t wait to see them. Such beauties, congrats on the new members of your family. That’s too much….. so are they all done now? no chance at triple triplets? 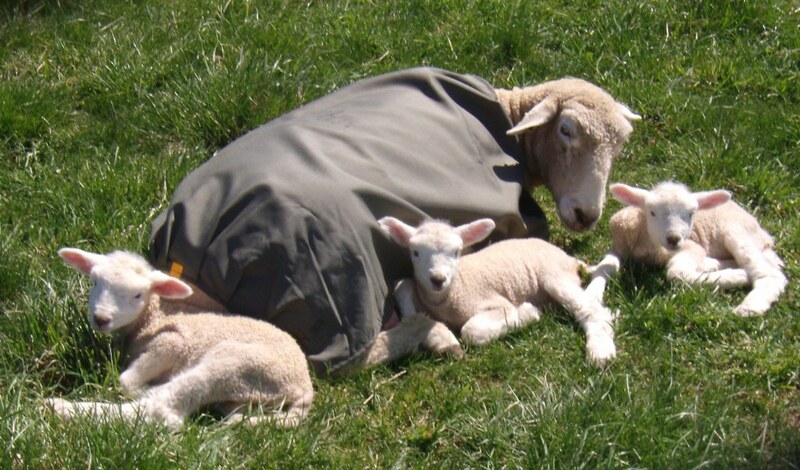 Hopefully some more lambs will be born–Felicia looks to go next, but it won’t be any triples.